Automatech's tech expo and conference, took place on beautiful Cape Cod last week. On day one, Lew Roth and I, along with Chris Carlins from AutomaTech, hosted a three-hour Webalo training session with GE customers and partners. The room was full and everyone was very enthusiastic to learn more about Webalo, with hands-on exercises including configurations and the deployment of apps to their devices! It was very helpful for us too – we learned about use cases in the energy, oil and gas, and manufacturing industries. On day two we announced our partnership with GE at the European Minds + Machines conference in Berlin and, in parallel, at ThinkBIG Lew joined Gytis Barzdukas on stage during his keynote. Gytis featured Webalo during the presentation, talked about us as a leader in the GE ecosystem and then invited Lew to discuss how we are integrating Webalo with Predix and other GE products. As the User Experience Platform for the Industrial Internet, we automatically generate mobile and desktop apps directly from Predix service endpoints, other GE Digital products and from enterprise software such as Microsoft, Oracle, SAP, Salesforce.com, ServiceNow and even in-house custom applications. Over the course of the event, we held many discussions with GE customers and partners, demonstrating our variety of different data connectors which enable us to easily provide actionable, dynamic, persona-based user experiences, that adapt to user requirements in real-time. We left the conference very contented – new, exciting relationships, salt air in our lungs and sand on our toes! Big thanks to AutomaTech for the 5-star quality organization – we’re looking forward to next year! 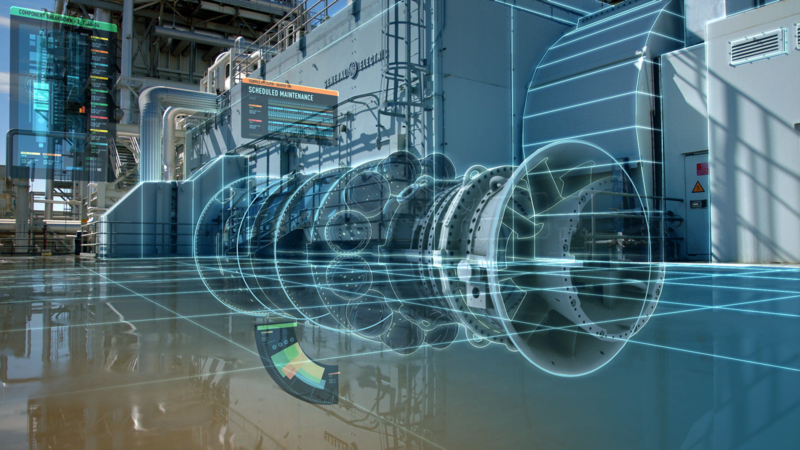 I’m in Berlin for GE’s Minds + Machines conference this week – all things Industrial Internet, European edition. Very interesting event, with an additional twist this year – GE Chairman & CEO Jeffery Immelt decided to announce retirement Monday, and caused the organizers a lot of angst at the last minute, as he was not here to deliver his keynote! If it hadn’t have been mentioned, you wouldn’t have known it from the main stage performances, where their message of information everywhere, digital disruption and the emergent era was delivered flawlessly – see the keynote here. More importantly, today, at M+M, we announced the next phase of our GE partnership. Persona-based means taking all those disparate systems and generating a user focused mash-up – personalized, relevant ways to visualize and respond to information through actionable notifications, real-time dashboards and bi-directional workflows, that are dynamic – they respond to the users’ real-time needs. It’s simple, fast, low-cost and its enterprise grade – built to operate in the face of massive amounts of real-time transactional usage by thousands of users. It’s an exciting time in this industry and an exciting time for Webalo! Transform existing enterprise and industrial applications into apps and data sources that are organized for and around the user. Webalo, the UX Platform for the Frontline Workforce™, provides the app generation infrastructure for the digital transformation of frontline workers. Webalo's patented technology enables companies to become User First™ organizations, easily transforming their existing enterprise and industrial applications into real-time, actionable, task-oriented, persona-based applications, where each user has just the information they need, on their device, to help them get their job done. Webalo is enterprise-grade, built to operate in the face of massive amounts of real-time transactional usage by thousands of workers, helping them to make better, more informed decisions and to make their businesses more productive. © Webalo, Inc. All rights reserved.